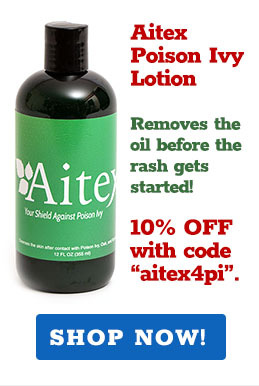 Whenever eastern poison ivy climbs, it uses little hairy roots to attach to surfaces. This is also a good chance to see how the leaves branch off to the left, then to the right, rather than straight across from each other. 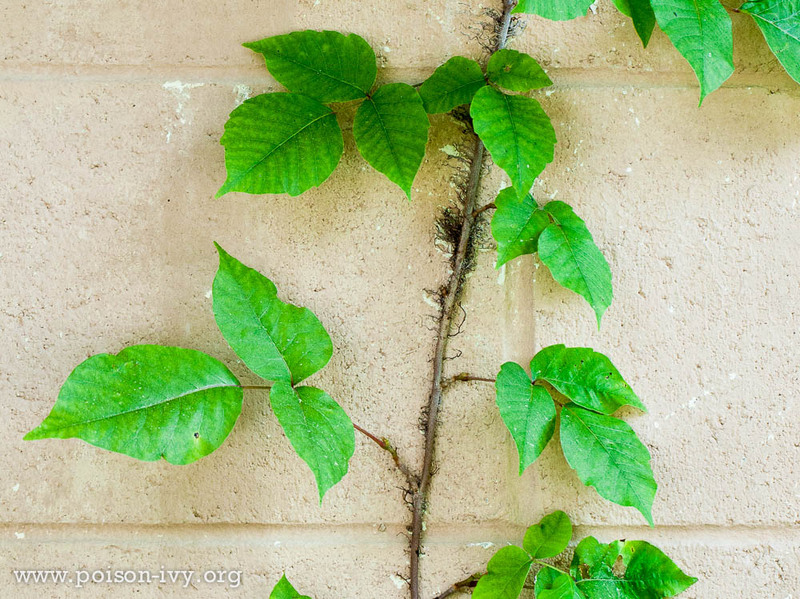 When there are no leaves climbing, poison ivy can almost always be identified by the hairy roots. 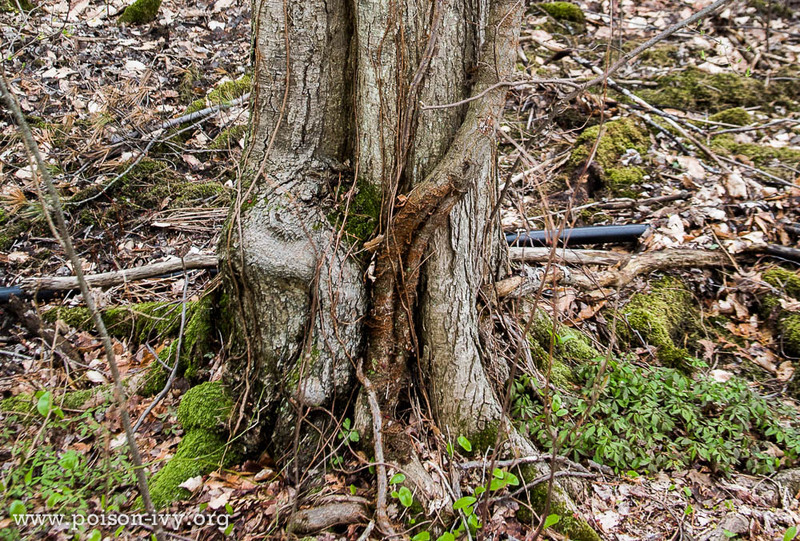 Here we see a typical sight: two trees at the edge of a forest, and poison ivy climbing up both of them. 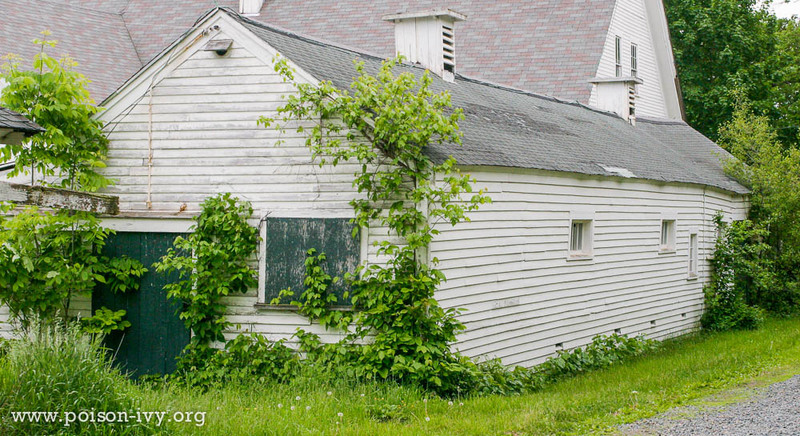 The thick vine in front of the tree, which curves to the right, is a big poison ivy vine, one that might go up 50 feet or more. 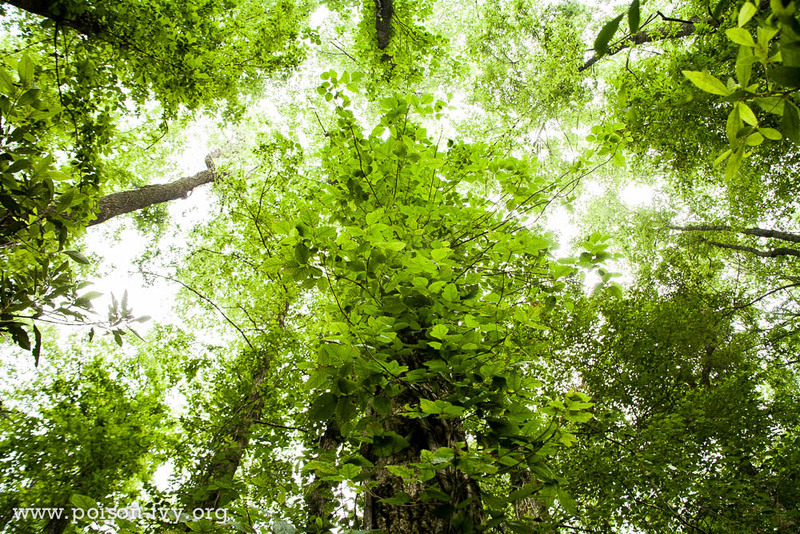 Vines can be six inches thick, and climb over 100 feet tall. 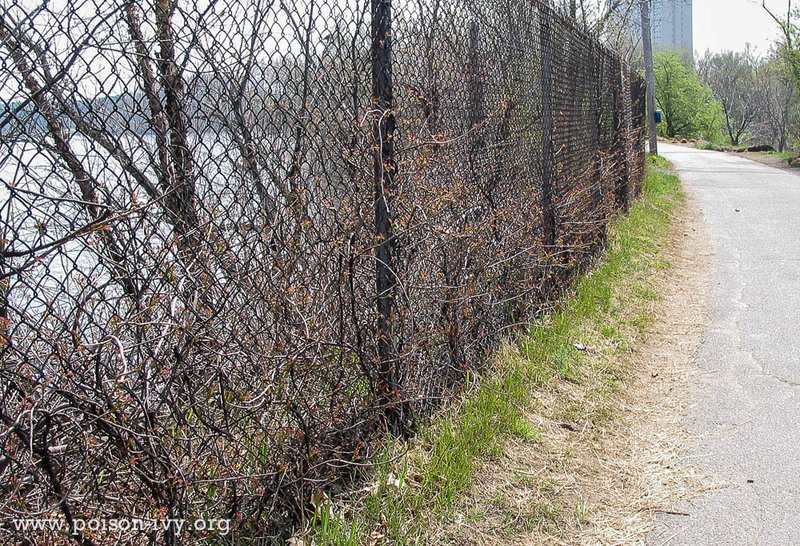 In spring, a lacework of poison ivy climbing this fence reaches out toward the path, with little red leaves sprouting from each branch. 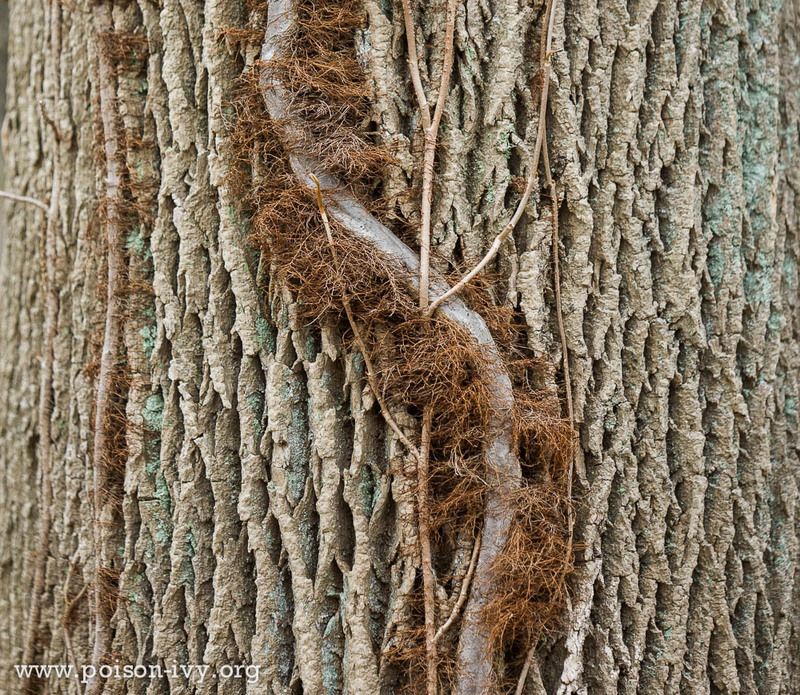 A tree trunk is covered with a massive poison ivy vine, which then sticks its branches out, looking for sun. 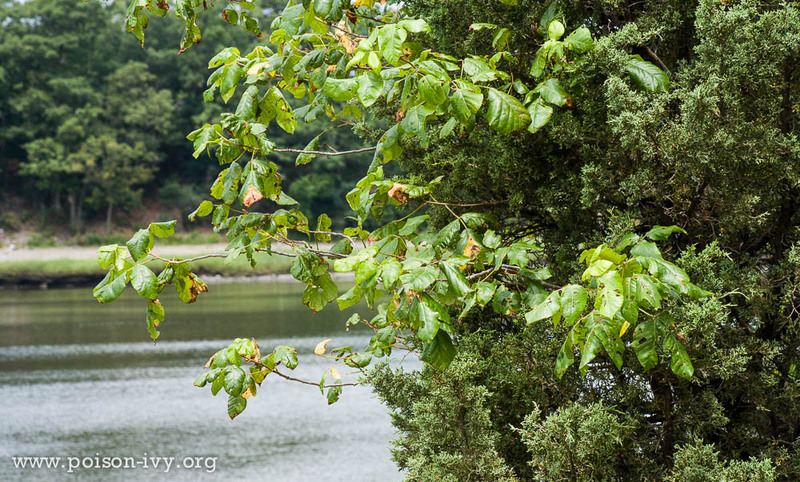 Many people mistake these for branches of the actual tree, with bad consequences. 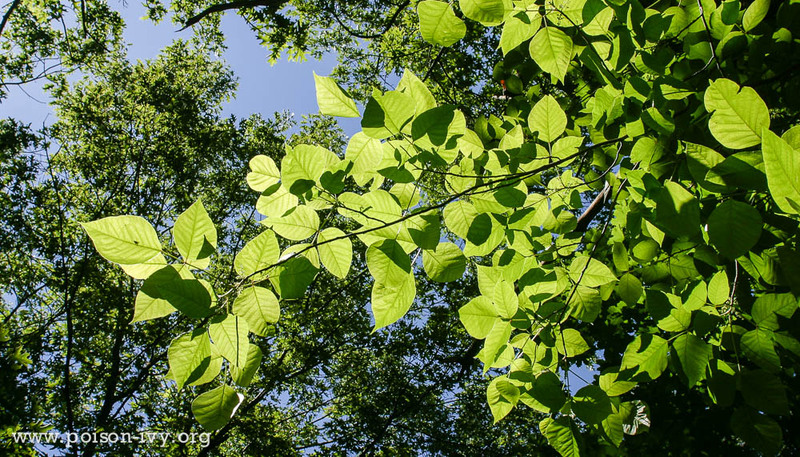 Where eastern poison ivy climbs, it is not hard to find it at eye level or overhead along a trail. You push the branch away, and the next day: misery. 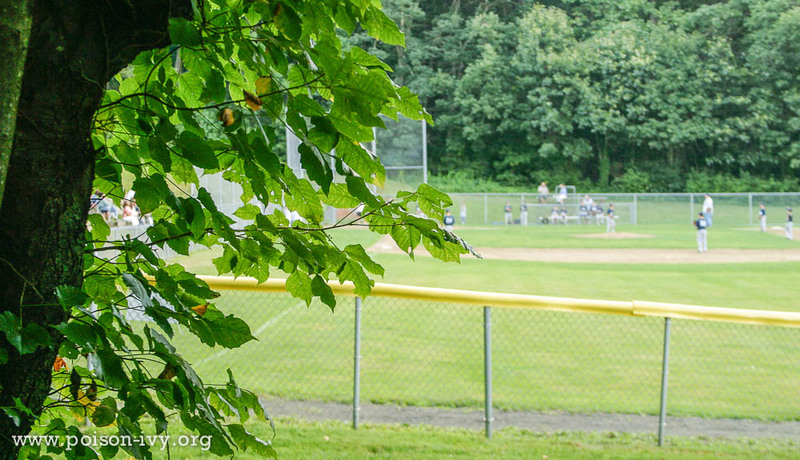 Here a poison ivy vine climbs a tree next to a little league field. 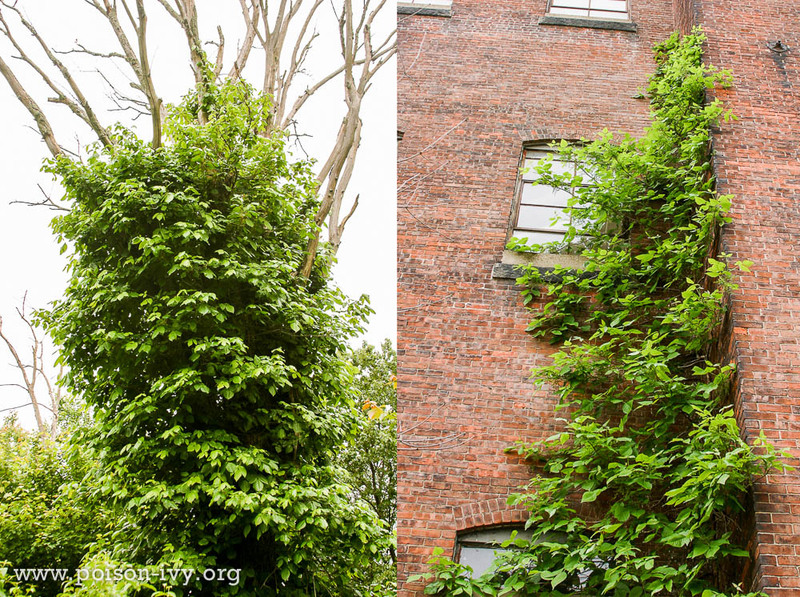 Here poison ivy climbs up inside an evergreen, then sends branches outwards, looking for sun. 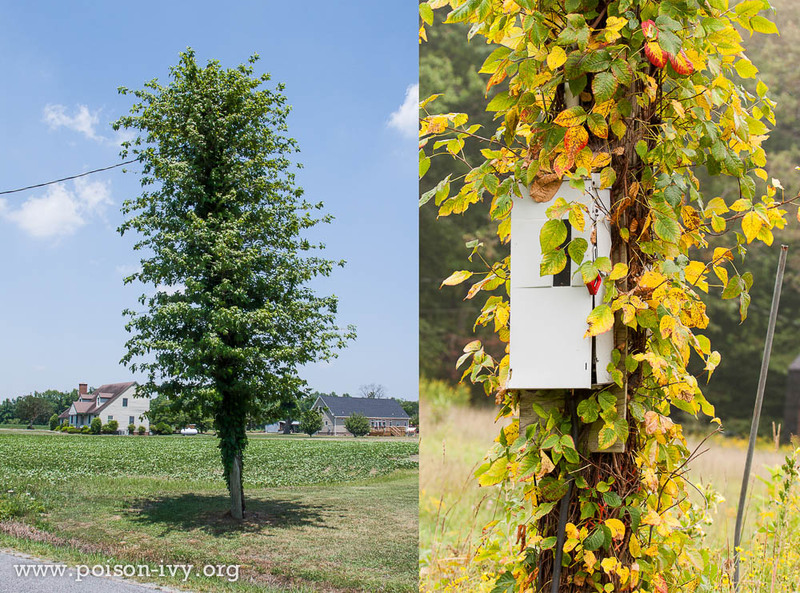 Utility poles are favorites for poison ivy since they are usually out in the sun. 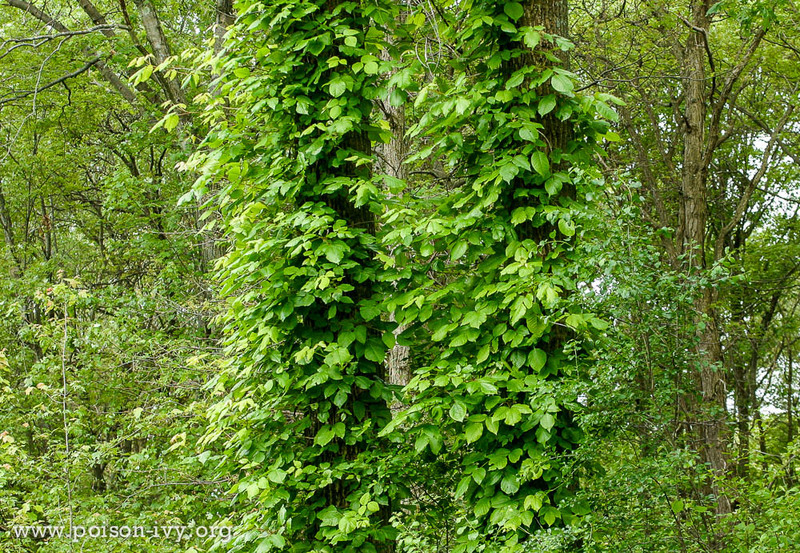 Poison ivy is a champion climber. On any surface, man-made or not, it will climb until it runs out of vertical surface to cling to.